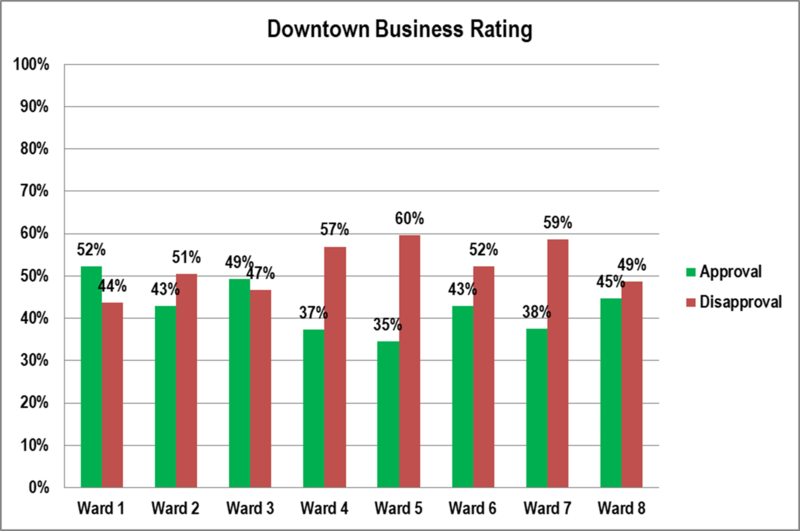 The rating for business is net positive in two of the three southern Eugene wards. 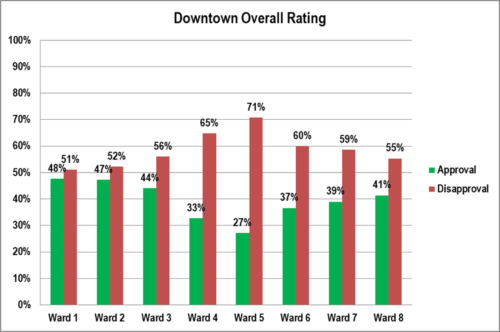 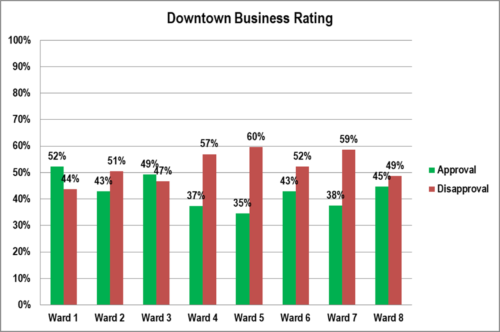 Ward 2, furthest to the south and away from downtown is the one with the net negative rating. 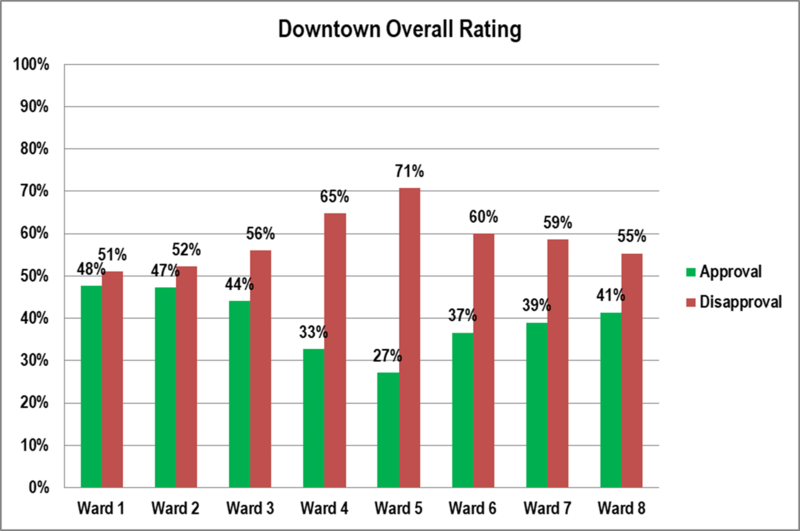 The ratings in all the other wards are net negative, though Ward 8 is closest to even. 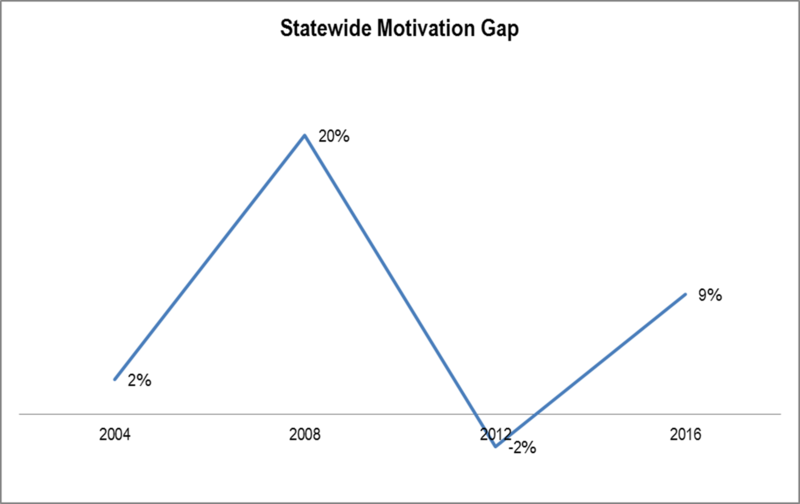 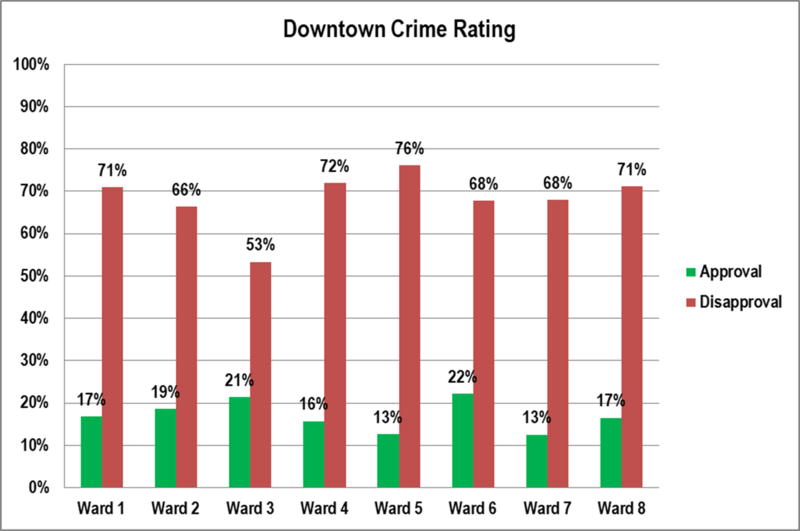 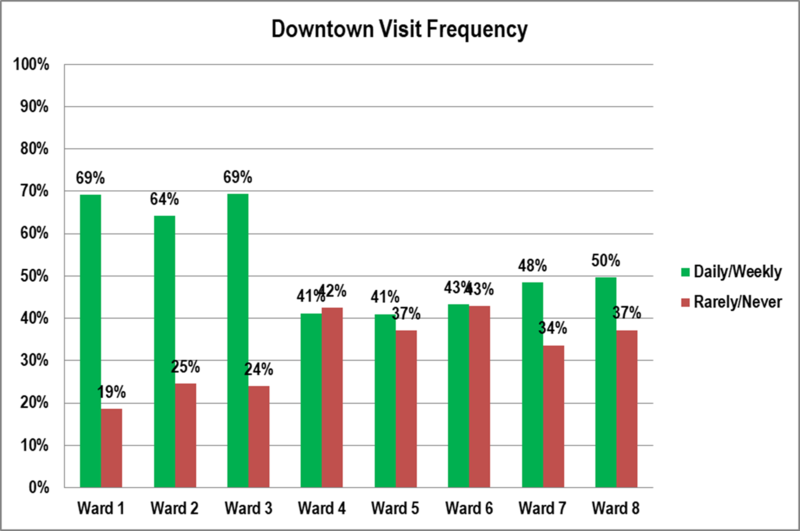 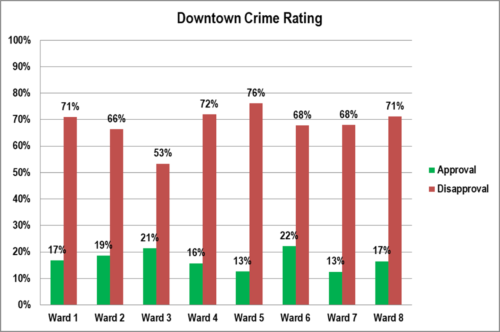 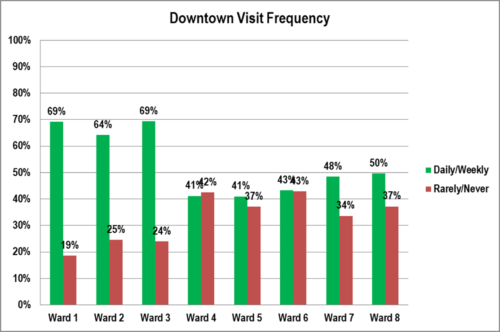 On the issue of crime downtown, there is much less of a geographic gap than with either visiting frequency or overall rating.